In this Pubcon Las Vegas session, Bruce Clay (president of Bruce Clay, Inc.), Prashant Puri (co-founder of AdLift) and Jake Bohall (vice president of marketing at Virante) are going to talk about an always-hot topic in SEO: Keyword data (Not Provided). Clay explains why he thinks (Not Provided) is not that big of a deal. 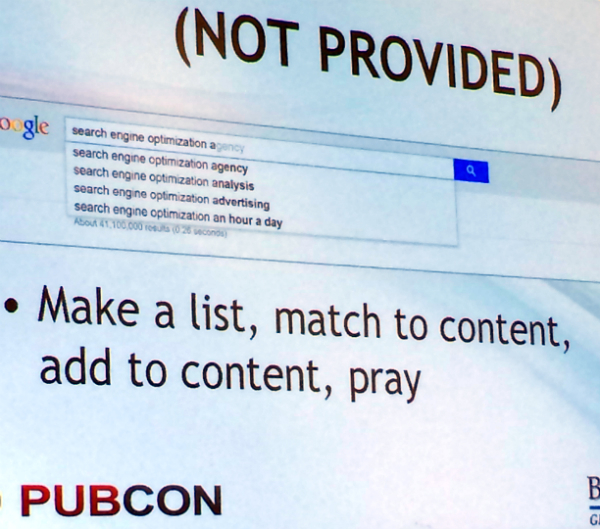 Puri shares fresh ideas for gathering up more keyword data, regardless of keyword data provision by Google. And Bohall talks about chaos theory and how it applies to SEO. We know that web history and location have been a long-time disruption. When you consider these disruptions, you realize that analytics data can be somewhat misleading. Consider this: if you search for “drug rehab” you get research papers, but if you search for drug rehab in Hollywood, you get local rehab centers. Google assumes that people searching “drug rehab” in Hollywood are looking for a center, rather than researching, and that’s based on Google’s understanding of these searchers’ IP addresses. The moral of the story is that all along, our SERP results have been modified based on Google’s interpretation of their search history and location. Google Instant shows what is actually being queried. Use it to find out what related terms people are searching for. SEOs need to care about those related queries, as well. Google Instant shows us those. Google Instant is 100% query based. We can look at it to see the frequency of a query. It is manipulatable. As we go through web history, we can see the words — in descending sequence by continuation — that people search often. If they make sense for our page, we need to integrate these queries onto our pages. As you search in different cities, you get all sorts of different results. One of the things you might want to do is set your location in different metros and see how it effects the SERP. Moreover, you have to account for the fact that the meaning of a word in one city might take on a different meaning in another city. Every geolocation effects the SERP. This is a major factor in the mobile landscape. Mobile will disrupt everything. It’s already disrupting everything. Mobile results are based on intent. Is the intent shopping? Researching? Google determines this on the fly. We’re not selling keywords; we’re selling traffic. Attribution matters. Specifically, high traffic and low bounce rate is what we’re after. As to pinpointing keywords that are driving our traffic, we can come very close, but there’s no way to identify a single keyword. We can identify, for example, a group of four keywords, but that’s as close as we can come. One landing page can rank for multiple keywords. It’s difficult to say I got this traffic because of this keyword. The correlation is hard to prove. 20% of searches each day are new or haven’t been conducted in 6 months. 70% of queries have no exact match keywords. 5% of users queries are greater than 3 words. There is a significant difference between data and wisdom; we can look at the data and realize provided didn’t mean as much as we thought. “Provided” was a fallacy. Google said (Not Provided) was only going to affect 10% of data, but according to Puri it, in fact, affects 90%. How do you get more data? Puri suggests downloading search query data on monthly basis. The data is rolling, so you have to keep up with it. The way to maximize your search query data is to dive deep into the categories on your site. Use the folder level URLs as separate websites — this lets you get a lot more data. Pury shares that with one client, there were 6,572 pieces of search data available. After listing folder level URLs as separate websites and de-duping, that number rose to 16,514. You will get 80% more search query data, and the process takes less than ten minutes. Attribution segments show that 35% of conversions have more than one touch point. The majority of your conversions could happen at the first click, but there are a lot that have multiple click attribution. You need to figure out which attribution model works for you. There’s no one-size-fits-all model. The internet is chaos — and Google is attempting to make sense of that chaos. Google is trying to organize chaos through its algorithm. And yet Eric Schmidt testified before Congress that there were more than 500 unnamed changes, and yet there were only 8 named changes. It’s a growing war between Google and spammers. Are SEOs the bad guys or the good guys? 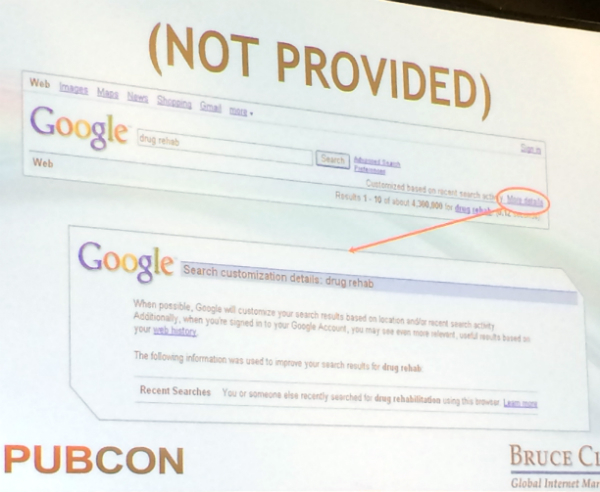 Bohall points out that most SEOs, by the very nature of their optimization efforts, are violating Google’s guidelines. Every time we work for links, he asks, are we not attempting to manipulate links? That is against Google’s terms of service. So, we need to be smarter than the algorithm and evolve. You have to evolve with the times. Meaning better content and better links. Better content means greater relevance and better links means greater authorities. We should not fall prey to fear, uncertainty and doubt. We must move forward and make great content. Unique. Implement rich snippets, micro data and UGC. Authority. Share and create authority socially. Bohall talks about the idea of broken link building — finding pages that existed in the past that was linked to significantly, but no longer exist. Create something new based on this abandoned content, and then ask people to update their links to your content. Thanks for the liveblog. 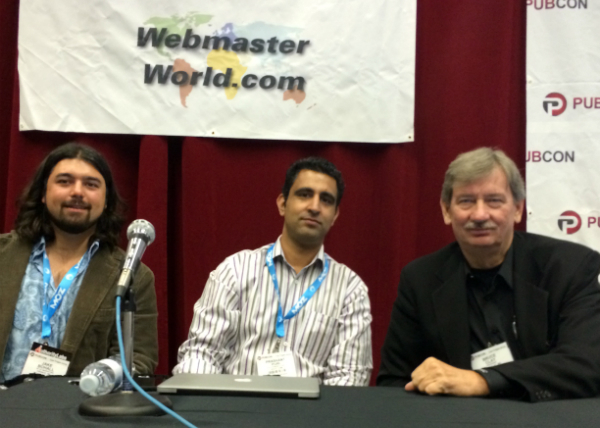 It was great to be on a panel with Bruce and Prashanti.